Women have lived with menstrual cramps from time in memorial. In some cultures, women have smoked cannabis to counter the pain while other women partook of some weird concoctions like the Victorian era mix of sulphuric acid and turpentine. Other women used opium and yet others removed their ovaries in a bid to get rid of the pain. Now, these remedies may seem like overkill but period pain can cause you to try anything once. I am thankful for the advancement that has been made in modern medicine. But sometimes, I am more for natural options like aromatherapy and essential oils or black haw, which gained popularity in the US for alleviating menstrual complaints. Thankfully, women today do not have to ingest addictive or poisonous substances to alleviate period cramps. We have the best of both worlds: scientific medicine and essential oils. How to use essential oils for heavy periods? Menorrhagia is the medical terminology used to refer to abnormally heavy periods characterized by prolonged bleeding, cramping, headaches, and fevers. In fact, such heavy bleeding is commonly known as Abnormal Uterine Bleeding (AUB). Menorrhagia can result in anemia if left untreated for long. Marjoram oil helps in relaxing muscles which can become taut with pain. It works fast because of its analgesic and antispasmodic properties easing the pain of the cramps and allowing your body to go back to its natural state. Topical application will work very well with this oil. Dilute it with a light oil like jojoba which easily gets absorbed into the skin and apply it liberally on your stomach in the morning and evening during your self-care routine. Make sure you rest enough because of the sedative qualities of marjoram oil. Lavender oil is mild and acts on the body in a naturally gentle and safe manner. It relieves stress which is a huge contributor to menorrhagia and its accompanying symptoms. It has anti-inflammatory and pain relieving properties which allow it to alleviate any cramping you may experience. This oil helps your muscles relax and soothes your senses so you can sleep better and feel rejuvenated. You can make a hot compress and lay it on your abdomen. Place 3 drops of lavender oil in a bowl of hot water and soak a washcloth into the water. Squeeze the excess water off and lay the compress on your tummy until the cloth cools off. Chamomile oil is a great oil used to calm the sense and alleviate period cramps. It has strong anti-inflammatory properties that help reduce the cramping and eventually get rid of the pain altogether. It relaxes the muscles lessening the tautness that contributes to more cramping. Massage the oil gently into your abdomen after every four-hour intervals. The oil should be diluted and you can use it alone or in a blend. Use circular motions for the massage and lie down after the massage to let the oil take effect. Unfortunately, if you have been experiencing heavy flow for a long time and have become accustomed to it you may have no idea some essential oils can help you. The woody scent of cypress oil is very inviting and tantalizing. The oil reduces blood pressure and regulates blood flow by constricting blood vessels. It works too by stemming the bleeding thus reducing the amount of blood during your periods. You need to start using the oil 2-3 days before the periods. Place 5 drops of cypress oil in 10 drops of sweet almond oil and massage the mixture onto your stomach with circular motions. Do this for at least half an hour and then lie down and relax. It helps to balance your hormones even as it regulates the flow. Geranium oil is another great oil for helping with the heavy menstrual flow. Sometimes the heavy flow is as a result of hormonal changes so you only need to restore the balance to your hormones and you will resume a normal flow. Geranium oil helps with balancing your hormones and regulates your blood flow in the process. Dilute 3 drops in your favorite carrier oil like fractionated coconut oil. Gently massage the oil on your abdomen using circular motions which begin wide and end at your lower abdomen. You need to begin using this oil 2-3 day before the actual periods. Rose oil helps to regulate your menstrual cycles eliminating prolonged periods and the subsequent pain. It also helps with the hormones, regulating them and preventing heavy periods. The oil is also very relaxing and calming. It will soothe your muscles and help you experience a normal menstrual period. Make a blend of rose oil, jojoba oil, lavender oil, and lemon oil and use it as massage oil four times in the day. After a shower, you can massage it in one more time before you sleep. Irregular menstruation is a direct result of hormonal imbalance in women. With essential oil, you can naturally regulate your cycle so that always have regular days in the month where you can expect your period. Clary sage is a top essential oil for balancing hormones. It deals with everything from hot flashes and cramps to ensuring your cycles come on time. It has soothing and relaxing properties which allow your body to naturally find its normal balance. Hormonal imbalances can be as a result of stress, diet, age, and disease among other issues. Use this oil to get your body back in shape. Inhalation of clary sage oil is the best way to use it. Place 3 drops of the oil in a bowl with hot water and inhale the steam. Do this for a week before your expected period dates. The bergamot oil’s citrus scent is very uplifting when you are under the cloud of the menstrual cycle. This oil is gentle and safe, non-toxic and non-irritating. Bergamot oil is a joy to inhale and apply. So you can either place it in a diffuser and inhale it or make a hot compress from the oil and hot water and lay it on your forehead so you can easily inhale it. Mix the lavender and marjoram together first. Both have powerful pain relieving properties and complement each other beautifully. Add the sweet orange to infuse a mood booster to the blend and finally mix in sweet almond oil (carrier oil) for easy application. Mix all the oils together and use the mixture to massage your body. The menstrual cycle can take a toll on your body leaving it with no energy to withstand the pain and discomfort you feel at the time. A massage can help you feel relaxed, rested and give your body the tenacity to combat the symptoms of menorrhagia. Mix the oils together and blend them into each other thoroughly. With a few days before you begin your period apply the blend on your abdomen in the morning and the evening. The blend works well because coconut oil provides smooth application for the oils and geranium and rose oil help regulate the bleeding. 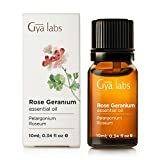 The rose oil lends the blend a beautiful scent masking geranium’s more herbal one. Yummy cinnamon is of great help when you are feeling the effects of menorrhagia. Have a cup of cinnamon tea with an actual cinnamon stick steeped in it for the best results. Eat foods rich in iron including pumpkin seeds and potatoes to counter heavy bleeding during your menses. The iron prevents you from becoming anemic if the bleeding is prolonged. Mango juice is a very effective way of combating excessive menstrual bleeding. It must be fresh and in some instances, you can even eat the mango rind. A cold press to the abdomen area will constrict the blood vessels by reducing the flow of blood and stemming the heavy bleeding. It will also alleviate the painful cramping you feel. Apple cider vinegar detoxifies your body and leaves you with the proper balance of the hormones in your body. Balanced hormones allow you to expect a normal menstrual cycle. It is time that we made sure that no woman suffers from the pain and discomfort of menorrhagia. It is a manageable condition without pumping our bodies full of chemicals or having invasive surgery. Let Mother Nature do what she does best: Heal you! PreviousPrevious post:Tips for Using Coconut Oil for Rosacea You Need to KnowNextNext post:What is the Best Essential Oil for High Blood Pressure?